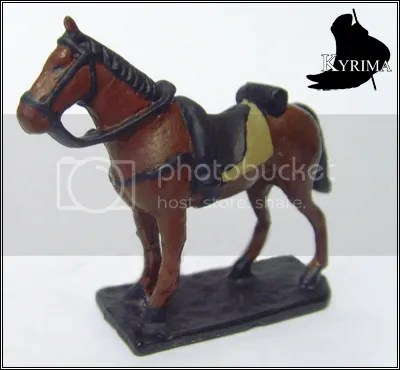 Made a 25mm horse perfect for use in Kyrima woo. I know the magicians certainly traveled by horse but I don’t remember them ever fighting whilst on horseback, even though it would be really cool. 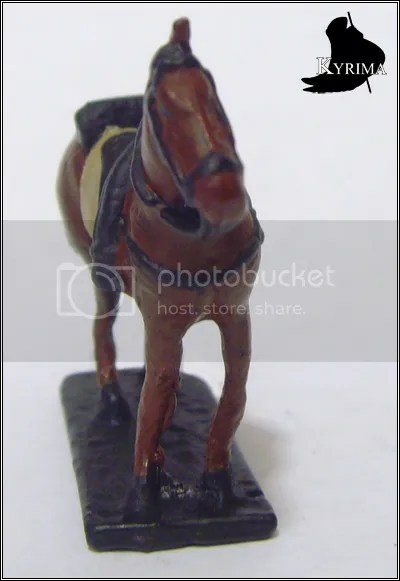 So currently the horses job in the wargame is just to stand there looking good, which I think it manages rather well, even if it has suffered a battle wound in the form of a missing ear (it was dropped whilst being admired). This entry was posted on Thursday, June 16th, 2011 at 6:01 pm and is filed under Kyrima. You can follow any responses to this entry through the RSS 2.0 feed. You can leave a response, or trackback from your own site.